I caved and bought an ice cream maker. This is where this all started. I was dying to make fresh strawberry ice cream. It's been a favorite of mine since I've been a little kid. I argued with myself over the expense, over where the heck I was going to put yet another kitchen appliance. In the end, I blame the strawberries. They won. The lemon won too, and let's not forget about the Grand Marnier. I promised you these ice cream sandwiches last Sunday, when I took you on a four-course strawberry dinner tour. This was how I capped off the entire dinner. They're fresh, not too sweets, with an adult twist, with a touch of tart. Don't get me wrong, this ice cream is amazing. I should know. I'm the one who probably won't fit into their jeans in about a week because I'm having a bowl of it every night. That being said, these Lemon Sugar Cookies are the stars. I can't take credit. They belong to the amazing couple over at Two Peas & Their Pod. The cookies, well, they're beautiful. The scent of the dough makes you want to put your face into the bowl and never come back up for air. 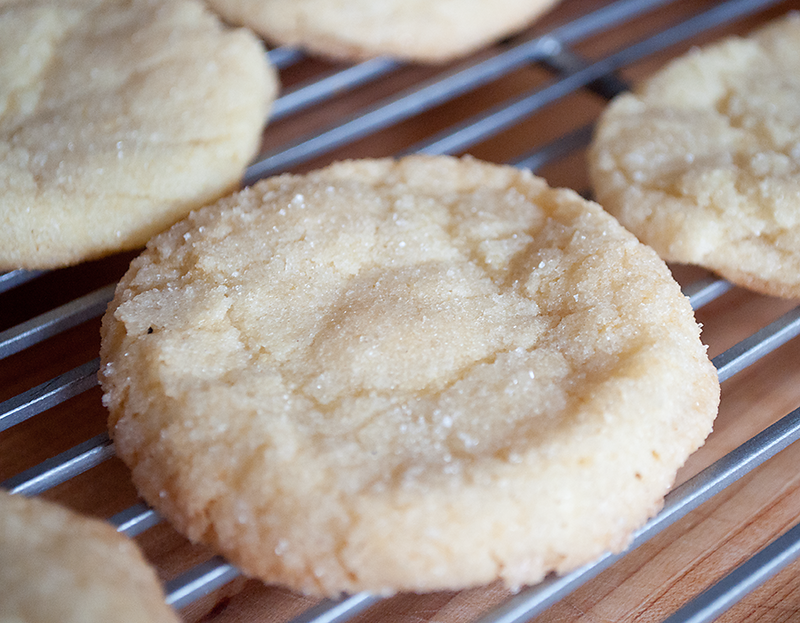 To me, these are the perfect lemon sugar cookie. 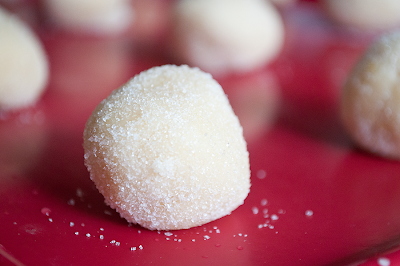 These little sugary delights would be perfect wrapped up in a bow with a box of beautiful, but strong, tea. 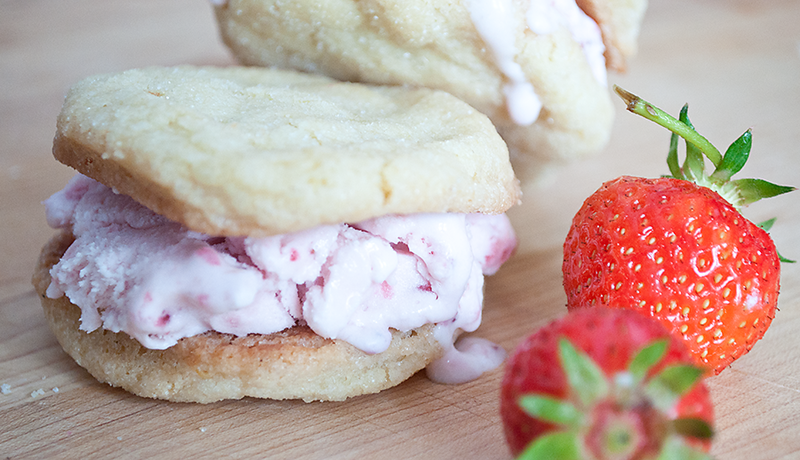 They're the right vessels for these ice cream sandwiches. They hold up to the ice cream well, but are chewy enough to give way with a good bite. The ice cream can be made with or without Grand Marnier. If you want just the strawberry ice cream, just skip the addition of the liquor at the end. The best part about making your own ice cream? You can make it however the heck you want. You also know exactly what ingredients went into the finished product, and as you know, I'm huge on that. In this case, it's milk and cream from New Hampshire, and strawberries again from Cider Hill Farm in Amesbury, Ma. First, remember to put the freezer bowl of your ice cream maker in the freezer the day before you do this. I tend to forget such things. Take a small bowl, throw the strawberries in there and pour in your lemon juice and a half a cup of the sugar. Now stir gently, until all the strawberries are coated. Set that bowl aside to macerate for at least two hours. I left it in the fridge overnight. Now, when it's ready, strain the berries, reserve the juices and set it aside. You can now mash or puree half the berries. Now, let's look at the dairy products. Take medium mixing bowl, pour your milk and the rest of your sugar in, and use a hand mixer (or you can use your stand mixer here) and mix until the sugar dissolves. Now stir in the heavy cream, that strawberry juice your reserved, the mashed strawberries, and, finally, the vanilla. Pour the mixture into the freezer bowl of your ice cream machine and continue using the directions of your particular ice cream maker. When there's about five minutes left of churning to go, add your Grand Marnier. Adding it earlier, could cause the mixture not to freeze. Transfer your ice cream to a freezer-safe and airtight bowl and store in the freezer until you're ready to enjoy. Line two baking sheets with whatever you have on hand to do so - parchment paper (don't use wax, it burns in the oven) or silicone baking mats. Now, whisk together your flour, baking soda, baking powder, and salt in some kind of mixing bowl. After that's done, cream your butter and sugar together. I prefer doing this with my stand mixer, but you can do with a hand-mixer or with a whole lot of arm power. When it's done, it should be smooth and creamy. 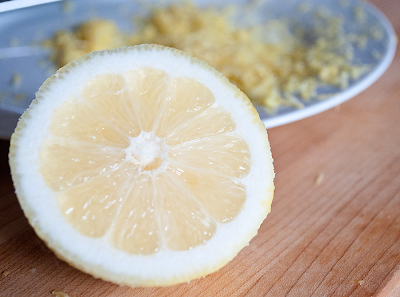 Add lemon zest, egg, vanilla extract, and lemon juice to your creamed butter and sugar. Stir until everything is well incorporated. Then, gradually add in the flour mixture. Stir until you have your cookie dough. Now, take rounded tablespoons-full of your dough, give them a roll so they're pretty little balls, and roll those babies in sugar. Place them on your baking sheets, about 1 1/2 inches apart. Bake 8-10 minutes until your cookies are golden around the edges and well set. Let them sit on the baking sheet, out of the oven, for 5 minutes, and then transfer them to a cooling rack. Take your ice cream out of the freezer and allow to sit about 5-8 minutes until it softens just a touch. 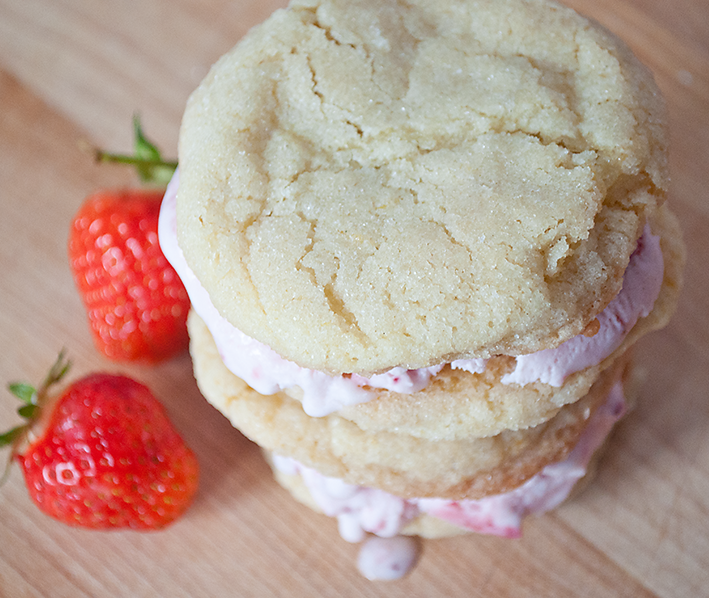 Now take two cookies, and take a heaping scoop of your ice cream and place on top of one of the cookies. Top with another cookie and press down gently, making sure not to break the cookie, but to get the sandwich to a point where you can actually eat it. You can serve immediately or you can wrap each in plastic wrap and store in the freezer for later enjoyment. Things are starting to come in, in abundance, at local markets. I'm starting to pick up more than I can (almost) handle every week, but good golly, I try. 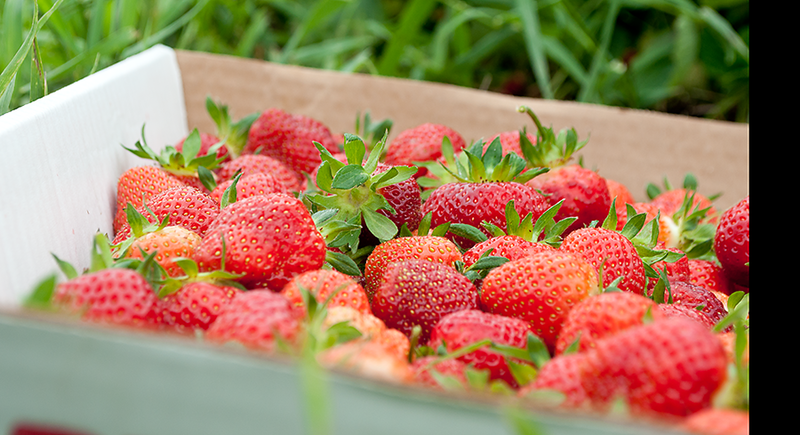 Your preserving tip of the week is for strawberries. You can can whole berries in syrup or water, but frankly, they freeze better. Wash and dry your berries. Take a baking sheet that will fit into your freezer, line with wax paper or parchment paper, place individual berries on your sheet so they're not touching each other. Put into the freezer for an hour or two until the berries are firm. 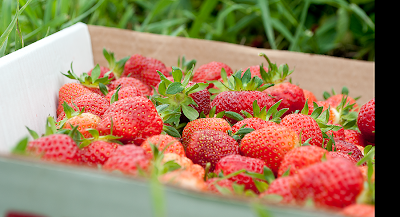 Take the berries out, transfer to freezer bags or freezer-safe containers. Now, you can pick out, individually, how many you need for whatever you might make over the next few months. You can bake with these berries, make jam, you can make smoothies with them, it's probably the best way to hang on to them out of season. Oh my - what a wonderful mix of flavors! We keep our ice cream canister in the freezer and use it over and over again all summer. They really are great little inventions, aren't they? This sounds so fresh Kimmy! I too have just picked a ton of strawberries and am not able to keep up on using them fast enough. Some fresh strawberry ice cream sounds perfect. Love the lemon cookie touch too. Perfect summer food! These look crazy delicious and are just so cute!! What a great dessert for the summer :) Your pictures are gorgeous as well! I love everything about this recipe: the cookies, the strawberries, lemon, grand marnier. Great idea and lovely pictures too! Yum! These look totally delicious and beautiful!